At Certified Slings & Supply™, safety at the work place is of utmost importance. Our world-class rigging and fall protection training programs are second to none when it comes to ensuring that your team has the knowledge and tools necessary to stay safe and work smart. 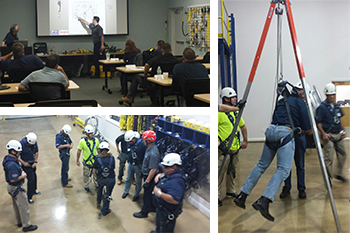 Attendees receive training on proper and successful methods of application for a wide variety of rigging and fall protection scenarios. Equally as important, they receive the latest information available on OSHA/ASME/ANSI regulations as they relate to their particular field of operation.